He shook his left wrist to show me. Because his body was so important to me, I lived in fear that he would injure it. The flash in his eyes as he was about to dive, the glint of light on his chest, the shapes of his muscles – it all aroused in me a pleasant feeling that usually lay dormant. 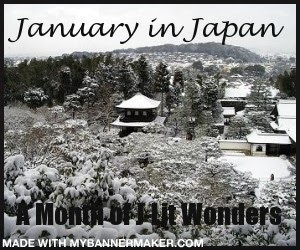 The middle story, ‘Pregnancy Diary‘, is Ogawa’s Akutagawa-prize-winning piece. A pregnant woman’s sister keeps a diary, which as well as documenting the progress of the pregnancy sets the sister’s feelings down on paper. Once again, our narrator is a twisted soul, and the further we get into the pregnancy, the darker the story becomes. Excellent stuff, Tony. I'm so glad you chose this book for the readalong. There's something quite dark and twisted running through these stories, yet there are brief moments of beauty too. It all adds up to a rather intriguing mix. All three stories are very thought-provoking. 'Dormitory' is my favourite, though – just the way it leaves more to the imagination. 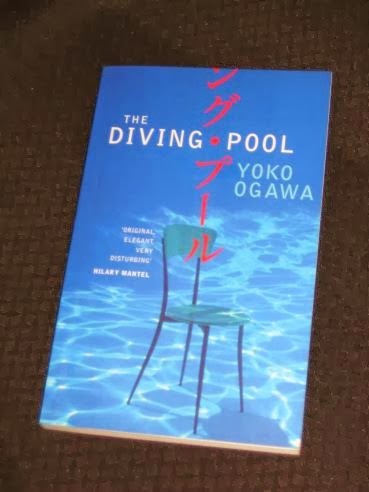 I can't recall if you've read Ogawa's collection of stories 'Revenge' but they're just as unsettling as those in 'The Diving Pool'. So great that her work is coming out in English, there is a lot more of it available in French than in English, so she is sure to be popular. I picked this up in a charity shop a couple of years ago, intrigued by the cover and an author I hadn't heard of and soon after her novella The Housekeeper + The Professor came out in English, which is also a great read and would make a good film too. Last year I read another collection of her short stories Revenge, which is excellent and intriguing when one thinks of how many stories with that theme she manages to create and bundle into one collection, I think there are at least 10 stories in that one. She has a unique talent and very readable. Looks like you picked a winner, judging by the reviews I read. Now when you say “reminiscent of Murakami”, what do you mean exactly? Never fancied reading him, but I may just be persuaded …. Jacqui – Glad you enjoyed it 🙂 'Dormitory' was my favourite too – it just appeals in the way it's more understated and ambiguous than the other two. Jacqui – P.S. No, I haven't read 'Revenge' yet (it's a long and bitter story…). Stu – A very good one, anyway (and I will get around to trying 'Revenge' one of these days…).